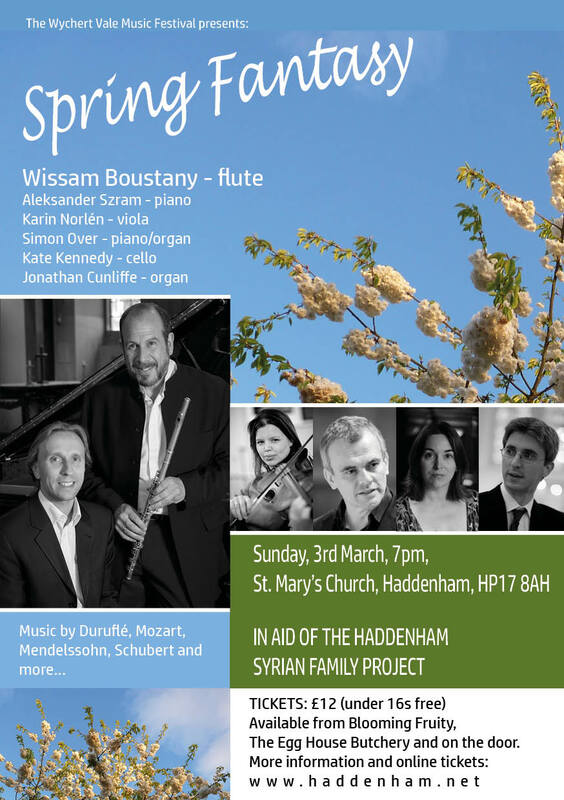 A chamber music concert featuring the internationally acclaimed flautist, Wissam Boustany and his pianist Alexander Szram alongside a line-up of distinguished artists from Haddenham including Simon Over (organ/piano), Kate Kennedy (cello), Jonathan Cunliffe (organ) and Karin Norlén (viola). Repertoire for the evening will include music by Elgar, Mozart, Schubert, among others. PLEASE NOTE: Gift aid donations from online ticket sales are paid via Citizen's UK - DIRECTLY to the Haddenham Syrian Family Project.